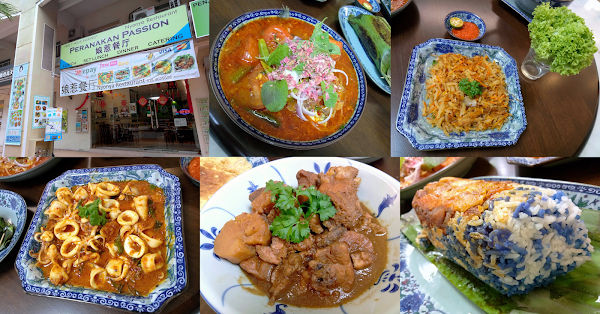 Special thanks to Peranakan Passion Nyonya Restaurant for extending this food review invitation. 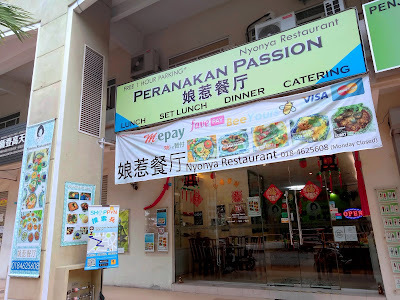 Today's dinner brings me to Peranakan Passion Nyonya Restaurant (娘惹餐厅) at D'Piazza Mall. The Peranakan (Nyonya) community primarily comprises of descendants of Chinese immigrants who settled Southeast Asia between the 15th and 17th centuries. In addition, there are also smaller Peranakan communities of Indian, Arab and Eurasian lineage. Peranakan Passion is operated by a Peranakan family from Malacca. The family-owned restaurant features the portrait of the matriarch, from whom many of the recipes are derived from. 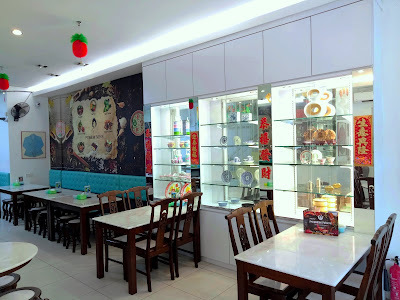 To present a homely Nyonya atmosphere, the dining area is decorated with classic Nyonya ornaments such as traditional attire, porcelain ware and tiffin carriers. 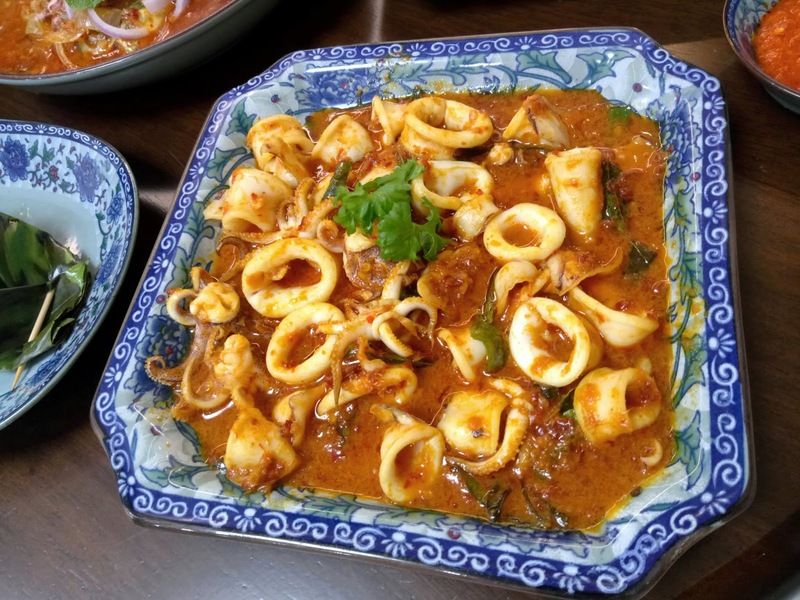 Peranakan Passion specializes in authentic, home-style Peranakan cuisine. 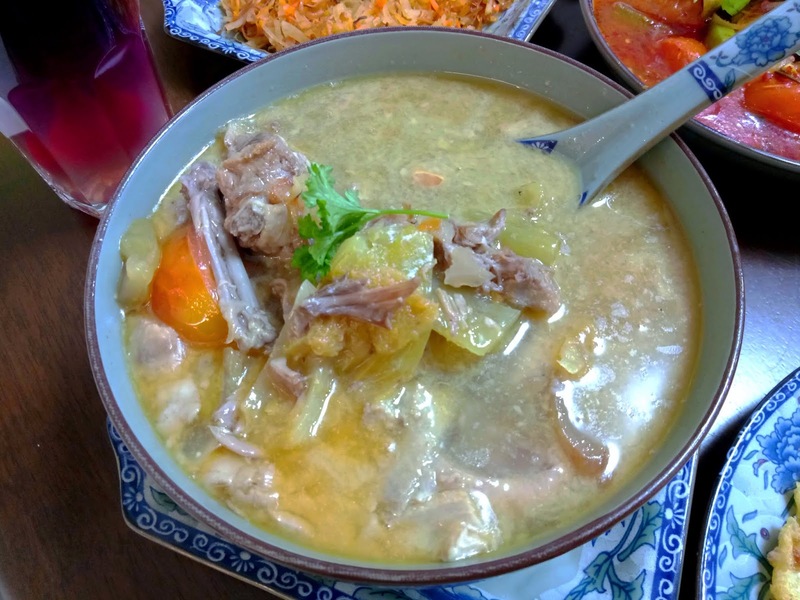 Like many traditional Nyonya households, the recipes were inherited from generation to generation. 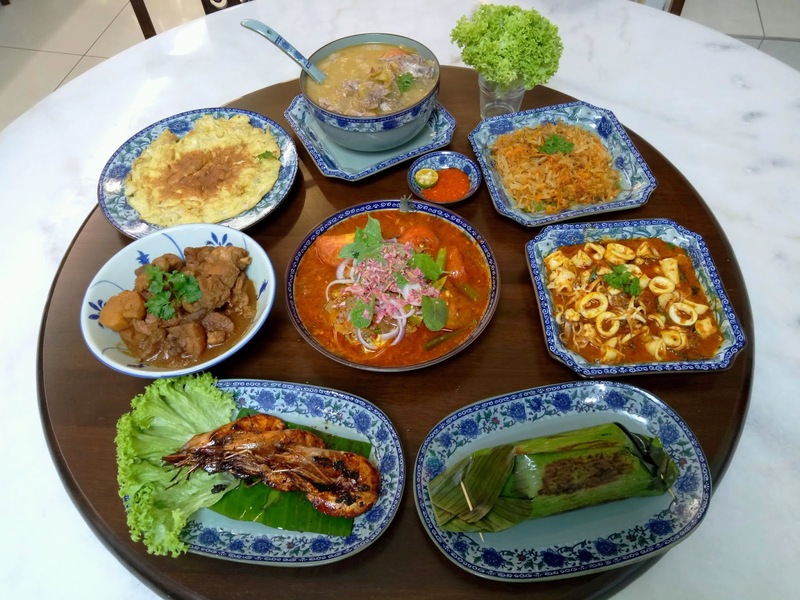 Peranakan Passion's food menu combines signature Nyonya dishes from Malacca, Penang, Singapore and Indonesia. The restaurant's bestselling dish is Assam Pedas Tau Teh, a renowned delicacy from Malacca. The curry strikes a delicate balance between sour and spicy flavors. The choice of fish is Chinese silver pomfret (斗鲳), a premium choice that is sought-after in seafood restaurants. The dish is also garnished with tomatoes, shallots, mint and bunga kantan (torch ginger). Fried Rempah Squid is also delectable to the last morsel. In this dish, bite-size squid is stir-fried with a special blend of herbs and spices, giving it a touch of spiciness that tantalizes the palate. The squid is remarkably fresh as evidenced by its delightful springiness. Another recommended seafood dish is Assam Sauce Prawns. The white shrimps are marinated with savory tamarind sauce for several hours, allowing the sauce to soften the shells and penetrate the crunchy flesh underneath. 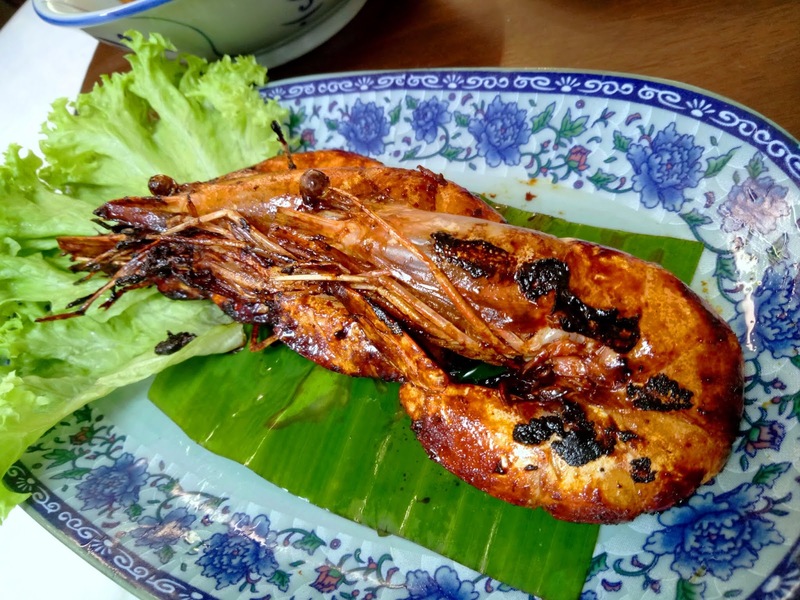 The prawns may be eaten entirely to savor the true tanginess of tamarind. Moving on to poultry, Chicken Pongteh (RM20.00) is a popular choice for children and the elderly due to its pleasant taste. 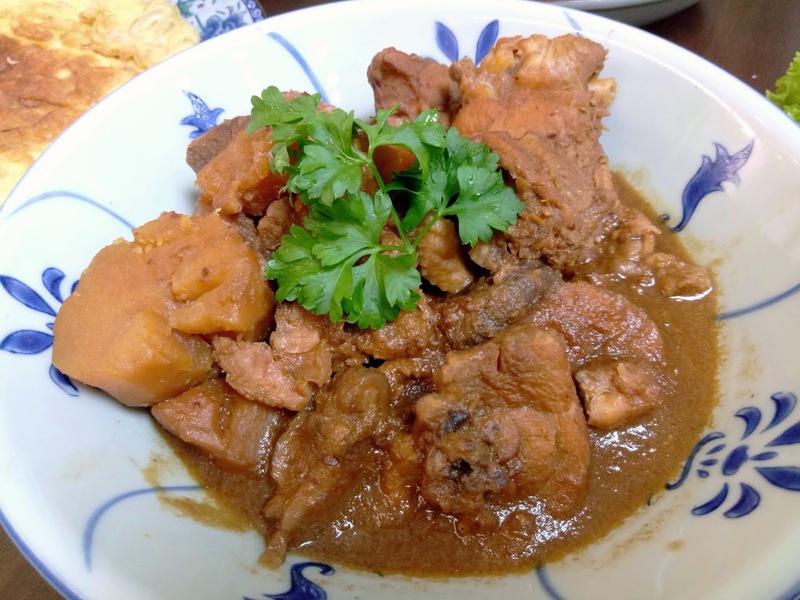 Stewed with a rich gravy, the chicken dish contains potatoes, shiitake mushrooms and fermented soybeans. Chicken Pongteh carries a hint of sweet aftertaste due to the presence of gula melaka (palm sugar). Itik Tim (RM20.00) is a rich soup that contains duck, pickled mustard greens and sour plum. The soup becomes substantially saltier as it cools down, so it should be consumed while it is piping hot. 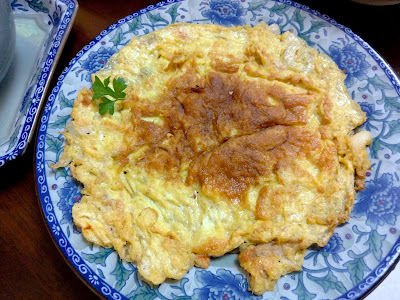 Despite its simplicity, the appeal of Chincalok Omelette (RM10.00) should not be discounted. Hailing from Malacca, cincalok is made by fermenting a type of shrimp called udang geragau with rice and salt. Pink in its uncooked form, cincalok is extremely pungent and salty. This makes it go particularly well with the eggs. Meanwhile, Ju Hu Char (RM18.00) is an appetizer of Penang origin. 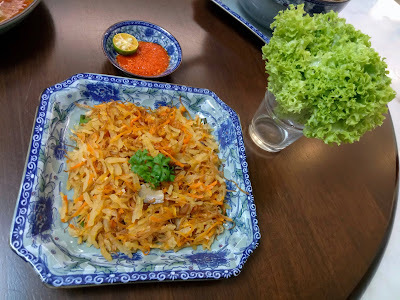 The salad is a combination of shredded jicama (sengkuang), carrots, mushrooms and dried cuttlefish. The cuttlefish is responsible for the dish's characteristic savoriness. Ju Hu Char is usually wrapped in lettuce and eaten by hand. A small amount of chili paste helps to enhance flavor. 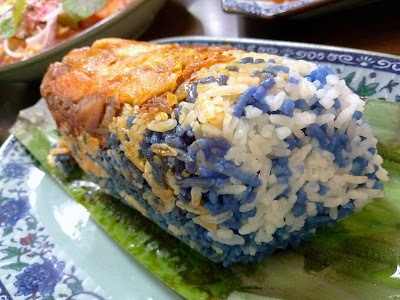 Nasi Bakar (RM10.00) is a relatively recent invention from the Indonesian Peranakan community. Although there are over a hundred different variants, Nasi Bakar typically consists of cooked rice that is wrapped in a banana leaf and then grilled over fire. This allows the banana leaf to impart fragrant aroma to the rice. 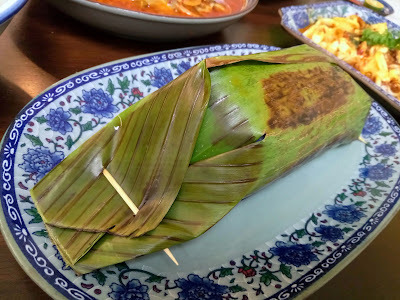 Peranakan Passion uses premium jasmine rice for Nasi Bakar. The blue coloring is a natural extract of butterfly-pea flowers (bunga telang). Unlike most restaurants, Peranakan Passion uses lots of flowers in order to produce the deep blue color. The flowers are nearly tasteless on their own, so the rice is infused with a variety of herbs to produce the desired aroma and flavor. Also included with Nasi Bakar are omelette and sambal (chili paste). As for drinks, Peranakan Passion uses honey in lieu of refined sugar. The subtle sweetness of honey delights the taste buds without the surfeiting sensation on the tongue. 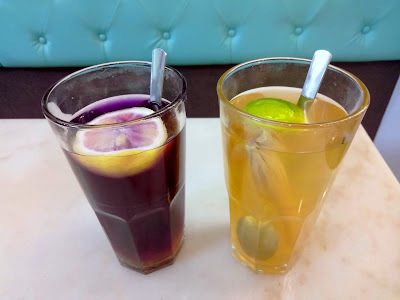 Shown here are Blue Pea Lemon (RM6.00) and Lemongrass Lime (RM7.00). Both drinks are prepared from genuine ingredients such as butterfly-pea flower, lemongrass, lemon and lime. Peranakan Passion has extra dining space upstairs for hosting private events. Catering service is also available. To remain faithful to its Nyonya roots, the restaurant does not cut corners when it comes to the authenticity and freshness of ingredients. MSG is notably absent in the food here. 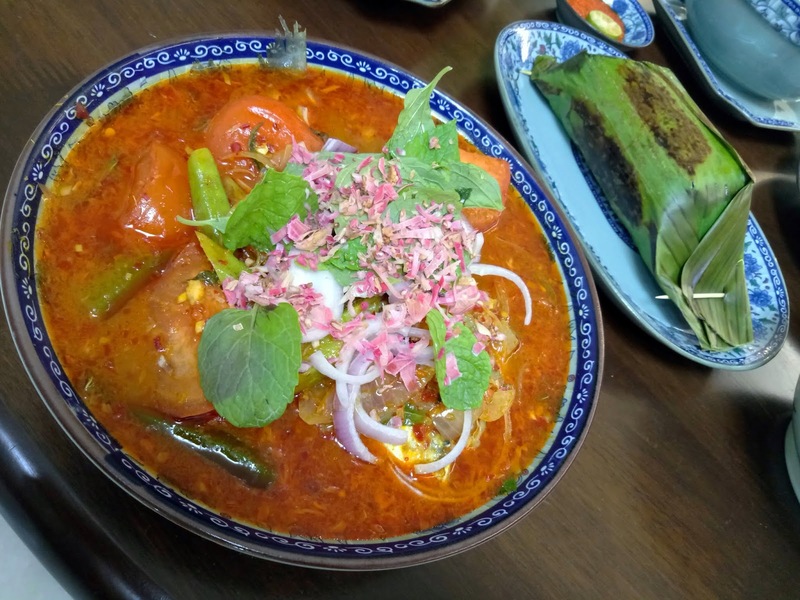 It is also important to note that Peranakan Passion is a pork-free restaurant. Directions: Peranakan Passion is located at D'Piazza in Bayan Baru. The restaurant is several shops after Sweet-i. Outdoor parking and basement parking are available at D'Piazza.